A rare picture of Frederic Jarvis. He is towards the back holding the cross. The Rector of Hethersett, the Rev Frederic Jarvis M.A, played a major part in keeping the village informed about the war effort - and he did much of it from close quarters. The Rector's War tells the story of Frederic Jarvis and his service both in Hethersett before and after the war and also in France during the war. The story is told through entries in the Parish Magazine of St Remigius Church, mostly written by the Rector himself. They give a unique insight into the village and the conflict. 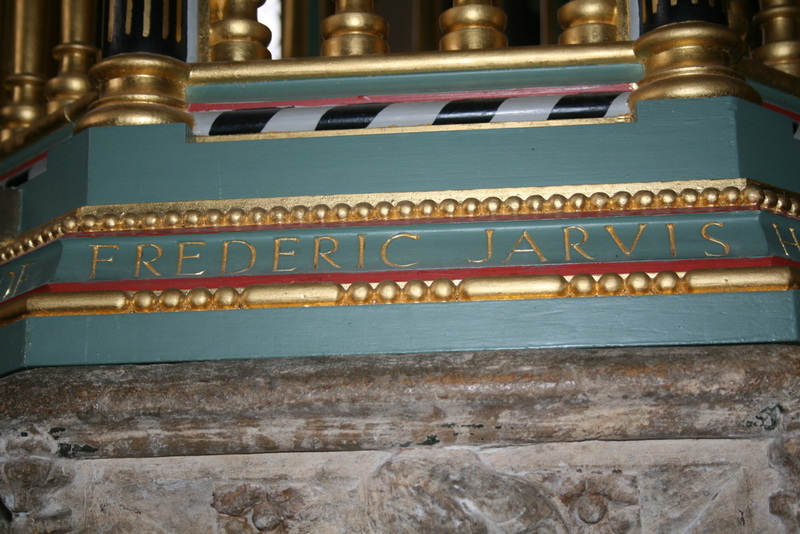 So what do we know about the Rev Frederic Jarvis. Well to start with his Christian names missed out the usual final k. He was born in or around 1887 and his birthplace is given variously as either Grimston, Freebridge or Cromer. In the 1891 census he is recorded as being three years of age and the son of John and Fanny Jarvis. At the time he seems to have had five siblings. The 1901 census has him aged 14 and lists his parents as John and Frances (presumably also known as Fanny) Jarvis. He was educated at Gonville and Caius College, Cambridge, where he gained a Bachelor's Degree (BA) in 1910 and a Masters' Degree (MA) in 1913. He was ordained a Deacon in 1910 and priest in 1911. From 1910 to 1912 he was Curate of Blakeney with Glandford and Cockthorpe and the 1911 census shows him living in a household of 13 people at Blakeney Rectory. 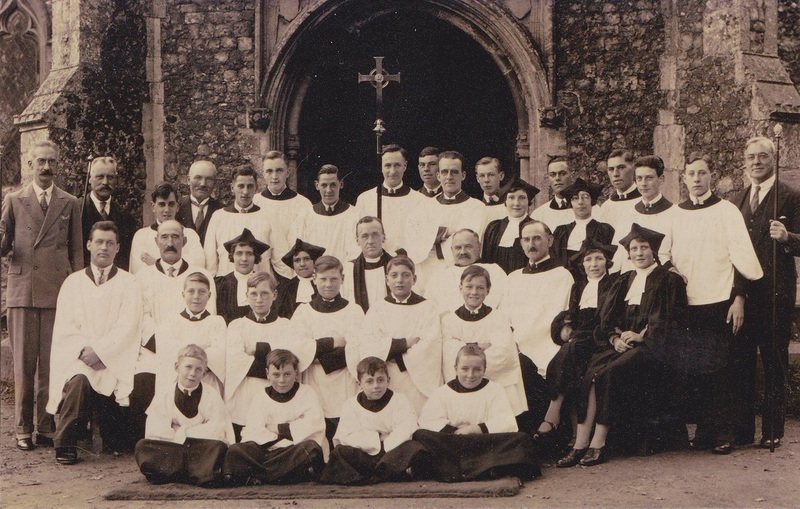 From 1913 to 1914 he was chaplain to Gonville and Caius College and came to Hethersett as Rector and served the village from 1914 until 1932, apart from his year of service as an army chaplain on the Western Front. He subsequently became Vicar of Wymondham and was responsible for writing a history of Wymondham Abbey and served the town until 1953 when it is likely he retired. 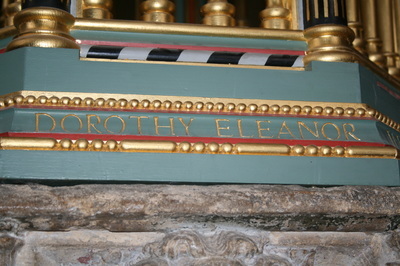 He was also an honorary Deacon of Norwich Cathedral. 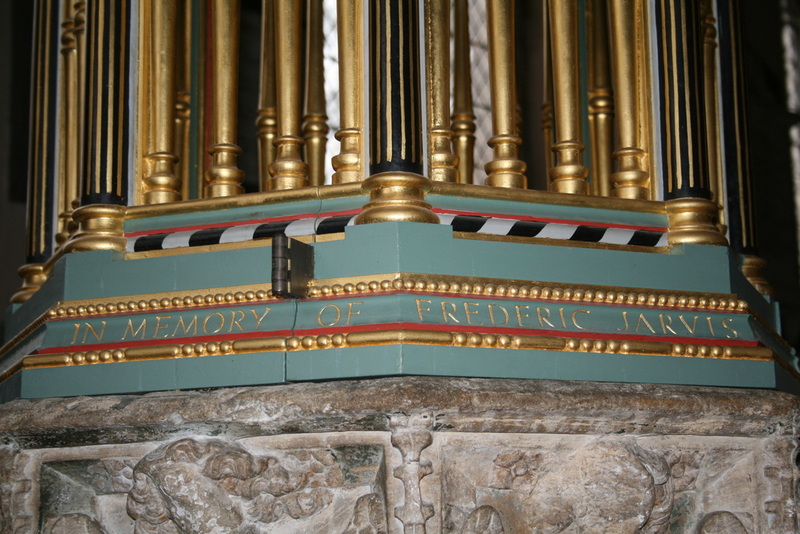 Frederic Jarvis died on 18th November, 1959, at St Andrew's Hospital, Thorpe, just outside Norwich. The value of his effects were put at £8,309 2s 6d (£8,309.13p). At the time of his death his address was given as Bennetts, Hethersett, and his telephone number was Hethersett 343. At the time the village had its own exchange. We also know that Frederic was married and had at least one daughter. 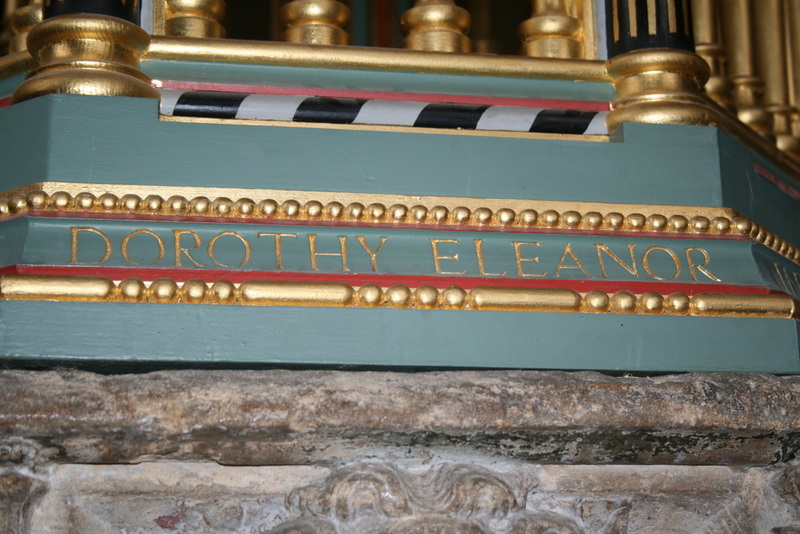 As far as his war service is concerned, he left for France on 27th December, 1916, leaving behind his wife, Dorothy Eleanor and a baby daughter Marion. At this point he was said to be 31 years of age (there seems to be a slight discrepancy in his age as outlined in various censuses). He was 5ft 9in tall and weighed 147 lbs (10 stone 7 lbs), He was passed fit for duty as a Temporary Chaplain 4th Class to H.M Forces, with the relative rank of Captain at a payment of 10 shillings (50p) a day. All his transport was free of charge. Wymondham Abbey has an impressive font just inside the main door. This dates from about 1440 and moved to its present position from under the west end of the nave in the early 20th century. It is one of a relatively large group of fonts in Norfolk and Suffolk which are similar in form and probably come from the same workshop. The front cover is modern and is tall and stately. It was designed by Cecil Upcher and given in memory of Frederick Jarvis to mark his 21 years of service to Wymondham. A photo of the structur appears at the bottom of this page. We will now let the rector's own words in the Hethersett Parish Magazine tell his story. As I take up my pen to address my first letter to you, I am filled with a sense of the tremendous responsibilities which are laid upon me by the Bishop at my Institution.... I very sincerely ask you for your earnest prayers for the gifts of the Holy Spirit, that my work amongst you may not be without fruit. At the War Intercession Services held on Thursday evenings, there will be short addresses throughout this season to which it should hardly be necessary to invite any who have friends or relatives serving with His Majesty's forces at this time. PS - May I draw your attention to a Sale of Work in aid of the Society for the Propagation of the Gospel to be held in the Old School on Tuesday, December 8th. We hear every day of relief funds of every description and our people are responding to the Nation's great needs in a truly wonderful manner. From January 1915 the Rector's writings in the parish magazine, begin to become quite extensive and covering numerous topics. We hope that our content reflects something of the life in Hethersett and wider afield at the time. Sadly his suggestion of 1915 bringing the beginnings of peace was very wide of the mark as were his suggestions that none would live to see that peace broken thanks to the Second World War beginning a mere 21 years after the first war ended. I am hoping this month that the Magazine will find its way into every house in the parish, partly because I want to convey to you all my very sincere wishes for a Happy New Year, a year in which we may see the beginnings of a peace which we shall none live to see broken; and partly because I am anxious to increase the circulation of the Magazine. I am sorry to find that in the past it has been what can only be termed a financial failure.... It costs a penny and contains a very good pennyworth of reading. I shall endeavour to make it as interesting as I can for all and shall report not only Church matters, but any Parochial events of importance which come to my notice. Nobody would have prophesised such a splendid result for the S.P.G Sale of Work. We were able to send seven guineas to the Belgian Relief Fund and nearly twice that sum to the S.P.G. No one who was present at the Special Intercession Services on January 3rd can fail to have been impressed by their simplicity and beauty and the directness of the appeal. It was very gratifying to find so many ready to respond to the Nation's Call to Prayer. But don't let us feel satisfied that we have done our duty by coming to God's House this once. There was never a time when our Churches ought to be used more, never a time when men have felt a greater need for prayer. All who are left at home have, in this, a chance of taking a definite part in the War. Don't let the chance slip away unused. This letter went on to describe the Rector's ideas to start a branch of the Church of England Men's Society in Hethersett and a Bible class for boys and young men, Sunday School treats, choir gatherings and scouting. It was obvious that the Rector was becoming a well loved figure in Hethersett. In the June 1915 magazine the Rev Jarvis thanks parishioners for the warm welcome home afforded to him and Mrs Jarvis (we aren't told where the couple have been but must assume it was on holiday somewhere). 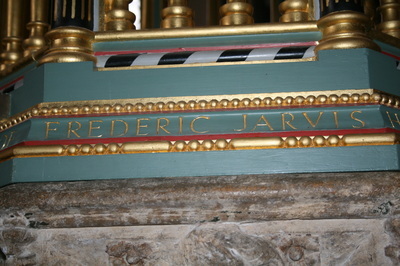 My first words to you this month must be an attempt to express my very sincere thanks to those of you who gave Mrs Jarvis and me such a warm welcome home on May 8th. The many signs of friendliness and thoughtfulness and if I may say so, affection which were betokened by the ringing of the church bells, the decoration of the rectory gate, the putting of flowers in the house, the sending to meet us and the waiting to greet us on our arrival gave us both a feeling of pleasure and happiness which it is impossible to state in mere words. But this is not all. I am glad to have this opportunity of thanking again those who so kindly gave us such beautiful presents. One surprise came after another in a way that almost overwhelmed me. All these kindnesses touched me very much for there was obviously no necessity for anyone to give me anything as I have been in the Parish so short a time, but this fact only enhances the value of the gifts and makes me appreciate them more deeply. Presents received included a tea set, candlesticks and a cheque. Mrs Bainbridge proposes having during June, a few Working Parties in the Old School to make garments required for our soldiers. The following month Rev Jarvis had some interesting and unexpected news about one of the Hethersett soldiers. No small stir and excitement was caused in the parish on the morning of June 18th when the news arrived that Pte R.W. Mapes of whom nothing had been heard since September 19th last, had arrived safely back in England and was returning home that afternoon. Mapes was injured in the retreat from Mons, and after a number of exciting adventures was placed in a hospital from which he escaped after a few days with six comrades. He was fortunate in finding friends who gave them a hiding place and refreshment, and with whom he was obliged to remain for seven months. After several attempts to escape, which involved great risk, he finally got away and reached England on June 15th. WE heartily congratulate him, not only on his success, but also on his pluck and determination and at the same time rejoice with his mother and relatives that their long and tense anxiety has come to such a happy ending. It must be said that the article poses as many questions as answers. Why did Mapes find it necessary to escape from hospital and what led to him escaping again from the bosum of friends -one of whom is thought to have been Edith Cavell? These are things we may never know the answer to. Mrs Bainbridge is compelled to give up her War Working Party, but Mrs W. Back has kindly volunteered to carry it on on Tuesday afternoons at 2.15.... I read an urgent appeal for more sandbags in the "Times" a few days ago. They want sandbags as well as clothes. This is one of the things in which the women of Hethersett can really be helping the country. It isn't a question whether we can find time for these things without upsetting our domestic arrangements, we must find time. The things are wanted and the men must have them. I believe that if a munitions depot could be started in the Parish a very large number of men would gladly give their spare time to help in this way. But shortly everyone will have the chance of stating what he is willing to do. When the forms for the National register come round don't say to yourself: "What is the minimum that I can do?" But "What is the very most that I can do for my country? And put it down willingly and gladly on the form. We had a stirring patriotic meeting in the school playground on the evening of July 19th. Let us hope that those who took the trouble to come over and speak to us did not gauge the effect of their efforts by the immediate results, which were: one recruit and a certain amount of regrettable hooting and ridicule, which could scarcely fail to bring shame and disgrace on the name of Hethersett. Rev Jarvis reported on a war that was gathering pace in the September 1915 edition of the magazine which gives an insight into the harsh realities and sacrifices having to be endured by those back in Hethersett. The war still hangs over us like a great cloud, more heavily now for some, for the 4th Norfolks have gone abroad, and many anxious hearts will be waiting eagerly for news of sons and brothers who have gone out to face all the horrors of modern warfare for the defence of their homes. They go with our hopes and prayers. Let us do all in our power to cast the mantle of protection round them that prayer provides. It has taken a year of war to make us realise the real gravity of the conflict. The year before us is going to see many changes not only on the battlefields, but in England and in our own homes.... But whatever changes may come we must look for no immediate lightening of our burdens. On the other hand, in spite of the fact that many are experiencing enormous difficulties in making ends meet, we are called upon to exercise the strictest possible economy in every direction and to put every penny we can save into the War Loan. These things touch us all, and not simply our neighbours, for these things are essential if we are going to win the war, and help not only the country but ourselves as well. By investing money in the War Loans you will be helping your country to victory and the world to peace. If only the children can realise the value of their work which is helping to cure those who have suffered bravely in their defence. Rev Jarvis also praises those involved in Sale of Work events, supporting the work of the Red Cross and many other societies with connections to the war effort. There seems to be a certain amount of dissatisfaction with regard to the list of men on Her Majesty's Service which has twice been published in the magazine. Before publishing it I have always asked for names and details to be given me and also for corrections. We have in our minds more especially now our own Hethersett men. A year ago very few of them had been sent abroad; today there can only be a few left behind. Last year a parcel was sent to each one at Christmas-time; how very much more a little present will be valued this Christmas; if we are able to send one to each again. The cost of doing this is rather great, as in addition to providing a few comforts, the postal rates are heavy. A fund has been started to meet this expense, and Miss Irene Back is kindly acting as Treasurer. Subscriptions, however, small, even a few pence, may be given to her, or may be sent to her through the District Visitors. As parcels for the Dardenelles will have to be dispatched by the middle of November, donations should be sent in as soon as possible. It is with great regret that we have learned that William Bishop and Jack Kerrison have been wounded and that Walter Livick is suffering from dysentery. We wish them all a speedy and complete recovery. I am sure I may say that all are sympathising deeply with Mr and Mrs Livick in their anxiety regarding their son Sidney. As I write a house to house collection is being made on behalf of the Red Cross Society, and everyone is wearing a little Red Cross Flag. This special effort is being made throughout the whole British Empire, in order to equip the society with funds to carry on its work effectively through the winter. The value of this work is rendering every kind of help and comfort to our wounded soldiers and sailors needs no comment. In December 1915 Rev Jarvis was more on the attack, opining the lack of deepening in spiritual matters in the village. There is to be a Special Service of Solemn Intercession for the War throughout the whole country on the first Sunday of the New Year ... Make a note of it now, and just consider in the meantime what you ought to be doing that day, what the men at the Front will expect you to be doing and what God expects of you. I am hoping that a few carols will be sung through the village at Christmas-time, and a collection made for Blinded Soldiers. As 1915 turned into 1916 the Rector's New Year message was very similar to so many that had gone before. Many of our soldiers have acknowledged their Christmas parcels and seem to have greatly appreciated them. Perhaps some of you are wondering what was sent in the parcels. The following list of money and articles contributed will give you some idea: In money £9 1s 3d; 84 pairs of mittens and cuffs, 26 pairs of socks, 43 handkerchiefs, seven scarves, six hold alls, six sponges. We are all glad to see James Kerrison safely home again. He has completed his service and has received his discharge after 14 months abroad. He certainly has done his share and done it well. We are rightly proud to learn that a native of Hethersett has been promoted from the ranks to hold a commission in the 10th Norfolks. 2nd Lieut Sidney James Smith enlisted in the 1st Norfolks 16 years ago. He served in India until the outbreak of the Boer War when he went to South Africa with the 2nd Norfolks, was wounded and gained two medals. He has been acting as Drill Instructor since the outbreak of the present War, but since his promotion he has moved to Cambridge, where he is going through a course of training for officers. He is a son of Mrs James Smith, Miller's Row. The collection in Hethersett for the Great National Million Shilling Fund for Belgian soldiers amounted to £5 1s 6d (£5.08p). Many of you are being asked to register your names as women war workers. Don't be afraid to give in your names. By doing so you do not in any way bind yourselves, whereas a list of workers will be of infinite value when workers are really needed. I hear that some of you contemplate ceasing to take the Magazine. Please don't do this. It is in any case, difficult to make it pay its way, but owing to the War the cost of production will increase 12 and a half per cent this year and if the circulation decreases we shall get into debt. I am sure you will help me to avoid this. In March 1916 Rev Jarvis took up the theme of Lent and how it could be applied to the war. We are always told to be self denying in Lent. Self denial seems to be compulsory in these days but there may be some who can spare a few pence a week for others who are less well off than themselves. Such persons would be helping their country and their fellow men if they devoted their savings to the Church Army War Work which includes Recreation and Devotional Huts, Tents and Clubs for Soldiers, Fleet of Kitchen Cars, Ambulance Cars, War Hopital in Northern France, Presents for Prisoners of War, Pocket Testaments etc. Early in June the remaining Groups under the voluntary system pf enlistment will be called to the Colours and as soon as the new Military Service Bill becomes law there will be many more who will have to be making preparations for a departure. Many homes in Hethersett will be touched by this measure which has for some time been looming in the distance as essential if the needs of the Army are to be met and, hard as it may seem to many, there is some consolation in the thought that it is a very heavy blow to Germany, about the heaviest we can deal her. For while Germany can now only call up men who are probably either too old or too young to stand the severities of modern warfare, England still possesses vast reserves of men who will in no way lower the physical standard of her armies. May we not take this new Bill as the beginning of the end. The end may still be very long way off, but it must at least be clear to our enemies that in this slow wearing-out process England and her Allies can last the longest. The list of Hethersett men on His Majesty's Service will grow considerably in length and a full and amended list will shortly be published. We have been at war for eighteen months and there is still not much sign of being greatly stirred. Surely this is because we have no sense of sin either national sin or individual sin and consequently we see no need for humility and penitence. The men in khaki are doing their part all right but can we say the same for those at home? Interestingly by this point the Rector has stopped addressing his entries to "My Dear Friends" and has also stopped signing them. Perhaps this indicated a slight disillusionment with the parish and his post - something taken up again in his August and September 1916 entries. The purpose of the National Mission of Repentance and Hope is that the Church should deliver a message of Repentance and Hope. It is a movement in the Church very similar to the movement that is being made by the Allies today. It is a great offensive on all fronts in the great war between good and evil. And for this offensive all our resources have to be called up. Every fit man wanted is the Church's summons to her followers.... We know we are on the side of right in fighting Germany and we know we are on the side of right in fighting sin. By now Rev Jarvis seems to have become obsessed with the National Mission as it features large in the edition of October 1916 where he reports on cottage meetings, public meetings and Meetings for Intercession in the attempts to create what he refers to as "A New England." It is the war that is teaching us these things. God is using the War as a means of making his voice heard and His Presence felt. We know this is so with the men in the Trenches, and when they come home we want them to see that we have felt too, the very things that have touched them so deeply, and experienced the same moving power that is leaving its mark on their lives. We know what our Hethersett soldiers and sailors are doing for England and giving for England; I intend shortly to write a letter to each of them, telling them what we are trying to do at home and how we shall count on their help to carry the work on when they return. The Rector expects to leave almost immediately to take a commission as an Army Chaplain. The Bishop has sanctioned a scheme whereby his work will be carries on by the neighbouring clergy. This must have come as something of a bombshell from a man advocating a new found religious zeal for Hethersett and England. Obviously Rev Jarvis felt that his place was amongst the troops on the Western Front and in January 1917 he wrote with his reasons for leaving the parish. Note that the greeting and salutation has re-appeared. The darkness is still with us, but the glimmer of dawn is beginning to penetrate it, and we begin to look forward with a great hope to the opening of a new day, a day of better things, a day which shall see England better, the world better, and above all, a day of righteous peace. As I sit here writing with the guns pounding away a few miles off, one realises that the night has not yet gone, that there will be a heavier pounding than this before the sunrise; but how often the darkest part of the night comes just before the dawn and so with this hope in our hearts we will wait and work until we hear the watchman cry "The morn is come." It is difficult to describe the absolute contrast between life in a quiet secluded village like Hethersett and life at Headquarters of the 1st Army. I could not help thinking of the stillness and beauty of our parish church, as I knelt a few mornings ago in a little temporary military church in which almost all the plaster had been brought down from the ceiling by the concussion caused by high explosives. If you want to go to Norwich you buy a ticket and go, but if I want to travel I have to get a "movement order" from an officer. It is the same thing of course, but with this difference, that I probably couldn't get it. All your railway officials are civilians but here the porters are soldiers, the stationmaster, known as the Railway Transport Officer, is a soldier. At the street corners controlling the traffic, are military police, If you go to a military stores you are served by soldiers. Rev Jarvis then talks about the National Mission again before talking about what returning troops will expect to find back in England. He goes on to urge local people to make changes in their own lives "If you have failed to hear God's voice speaking through the war and if its lessons remain unlearned your failure may entail the failure of your son or husband or brother when he returns. When they come home they won't expect to find and England of saints, but they will look for a difference, for a change, not something superficial, but a changed outlook upon life and a new conception of Christianity. I received a considerable number of answers to the letter I sent out to all our Hethersett soldiers and in almost every one there was a phrase something like this: "I intend when I come home to live a different life." Is your home the sort of home your soldier longs to return to? If not, how can you set to work to make it what it should be? The men will have had enough of hardness and roughness and discomfort. They will come back strong, but with a strength that craves for gentleness and sweetness. Their strength has been acquired through familiarity with every conceivable trial, when they come back they will need friends who have so entirely grasped all that has been taking place that their attitude towards life has been so absolutely changed. It is a great joy to me to have this means of speaking to you all. May I say how deeply I value the promise many of you made to remember me in your prayers. Pray not only for me, pray for us all, that we, who are being tried in the balance may not be found wanting. If you lived out here you would have no doubts in your mind as to the need and importance of ceaseless prayers. Many of you no doubt have read in the papers something about the cold weather on the Western Front, or possibly you have heard of it from your husbands or sons or brothers. I think it is probable that no information that has reached you has been exaggerated. You may think it rather a waste of time to discuss the weather, but it is about the biggest thing our men are up against in winter. This it appears is the severest of the three War winters and one has to put up with a few little unpleasantnesses not always met with at home. For instance if you want a wash you have to break ice to get at the water. When you use your sponge you find it frozen into a spiky block which removes almost as much skin as soap from your face. I always feel rather glad that I am clean shaven seeing that almost everyone else has a frozen moustache. I met a man a few days ago who complained that he couldn't write home because the ink was frozen in his fountain pen. But here we are living in comparative comfort. It is only the men who have to spend the night on the fire step in the front line trenches who know the awful intensity of the cold, yet they are the men who say the least about it and who would probably almost all acknowledge that it was a lesser evil than mud. I am well aware that this cold spell has been felt severely with you too and I fear it is partially accountable for many deaths in the parish since Christmas, of which I have heard with very real sorrow. Several of my old friends with whom I have had many interesting talks, and with whom I have often been allowed to pray have gone to rest..... My deep sympathy is with those who are bereaved. After the splendid spirit of our own fighting men, I think the thing that has impressed me most is the wonderful courage of the French peasants. One has often heard the remark in England that an invasion of our shores would do the nation a lot fo good. No doubts in some respects good would have resulted from an invasion in the earlier stages of the war, but it is only when you see with your own eyes the real results of war that you really begin to pray that those at home may be spared from them. But in spite of the desolation and the danger the peasants carry on almost as though everything were normal and there were no such thing as an enemy, when the enemy is in reality only a few fields away. A few days ago I went to one of the advanced dressing stations which is immediately behind our support trenches. The place had been shelled in the morning and there were shells flying backwards and forwards overhead all day and every day, and all the while a man was quietly going on with his work which consisted in manuring a field, and utterly unconcerned about anything else. Every day you will find small boys up there crying "Eengleesh papers," and they would go a good deal further were they permitted to do so. Only yesterday I was in a large village most of which has been blown all to pieces, and which still comes in for a certain amount of shelling almost every day. Yet what houses remain habitable are almost all inhabited. Little children still play in the streets, and the women do their utmost to make our soldiers comfortable. In outward manner they appear callous and unmoved by all that is going on around them, but their innermost feelings, their deep suffering and anxiety, are written only too plainly on their faces. Their courage must be immense, and that carries them through. I have met no Hethersett men yet though I am always on the lookout for them. The nearest links I have with home at present discovered are an Argyle and Sutherland Highlander who marched through the village behind the drums and bagpipes as you remember many months ago, and who is now in charge of a Picture Theatre; and the other a Norfolk man whom I found in hospital and who knew one or two Hethersett people. Those of you who have subscribed to the war work of the Church Army and the Y.M.C.A can have no conception of how well your money is being spent. In hundreds of places there is nowhere for soldiers to go except these huts unless all their time is spent in an "estaminet." A C.A or Y.M.C.A hut gives a man a chance of writing home in comparative comfort as well as of seeing the newspapers and getting warm. The arrival of the mail is one of the most important events of the day. In the town in which I am billeted the letters are sorted in the street and large heaps of parcels lie about on the pavement waiting to be distributed to their proper units by the long convoy of carts provided for the purpose. It is a pleasing but strange sight. I hear a good deal of Parish news. I have heard of several who are hoping to be confirmed at Great Melton next month. I hope I shall be able to write to each of them later on. The food problem is one which concerns every home and I have no doubt that every householder is giving it serious attention. The winning of the war is in your hands now. There is no question about the Army. Victory out here is certain unless you let the Army down. Your turn to make a real sacrifice has come and you will make it in the same spirit as did the men who have left their homes. I have heard a good report of the work of the Scouts, but less of the choir boys. I think the lesson we ought all to have learnt in these stern days is that whatever your job may be, do it for all you are worth. The remainder of the letter is an encouragement to keep an "aroused England" fully awake: "Begin now to think less of yourselves and think instead of the nation, the community, the family of which you are a member." The following month The Rector refers to the onset of Lent and the way the giving up of pleasant things strengthens the character of the individual and the nation as it prepares to ready itself for even more hardships that lie ahead. My mind goes back to last Sunday at Hethersett. There were about forty Communicants on that day. I felt that many of those present were praying for me and the difficulties of the work that lay before me. I should like to feel that on Easter Sunday they will all be present again, with many others amongst them, some who have quite recently been confirmed and that we shall all, though for a time separated, be united in our prayers and praise in this great Service of Christ's own appointment. Since I last wrote to you my work has changed entirely. Instead of being additional Chaplain attached to Divisional Headquarters, I am now Chaplain to the Divisional Artillery. As we are at present situated the work is extremely difficult to do with any degree of thoroughness as the batteries extend over a rather large area; there are also the four sections of the Ammunition Column, with the Headquarters of which I live, and, in addition, the waggon lines, all claiming me as their Padre. The ground can only be covered on horseback, and it is thus that I do my rounds. For instance next Sunday I have five Services before my midday meal at the following hours: 7 a.m, 9 a.m, 9.45 a.m, 11 a.m and 12.15 p.m. Each service lasts about forty minutes, and no two services are held in the same place; in some cases the places are separated by as much as three miles, so there is no time to be lost. All of these Services but one are held in rough huts in which the men have their meals or are used as canteens and for concerts on weekdays. Whenever it is possible the congregations are good and the huts full, but the men are always busy as the guns are seldom silent, their ammunition supply has to be continually replenished and the horses need care and attention. But, for all that, they are glad to have their Services and behave as if they were. I am so glad to hear that a Ration League (see our village magazine section to read about this) has been started in the Parish and I hope that all householders will join it. There is no compulsion about it, you are simply put on your honour to limit the consumption of food in your household to the amount allowed by the Food Controller. Those who have a sense of honour will keep strictly within this limit if it is by any means possible. Those who have no sense of honour will be content to let others pinch a bit without attempting to do so themselves. The Rector continues in the same vein to remind residents of their responsibilities and the disaster that could accrue by not following the guidelines. In May 1917 the Rector returned to talk about the ever changing role that he was being asked to fulfil. Since I last wrote to you I have again seen several changes. I was at the time working with Divisional Artillery, but was shortly afterwards summoned to attend a week's course at the Chaplain's School of Instruction where, a good distance behind the line, and away from the continuous bustle and noise, an opportunity for quiet thinking and praying is given to about twenty chaplains at a time in a little town that has not suffered at the hands of the enemy, and which struck one as wonderfully clean compared to the mud we had left behind. It was exceedingly interesting and of great value to discuss with chaplains drawn from almost every part of the line - English, Canadian and Australian - the problems they were facing and the way in which they were endeavouring to deal with them. To my mind the chief value of the course lay in the restfulness the change gave to both body and mind. After three months of rushing it was good just to sit down and think for a bit what one had been rushing after, and to get fresh strength to rush again if need be. However, it was not my lot to be sent back to the same work, but i was transferred to a casualty clearing station on a very busy part of the line, As it was the kind of work I had hoped to get eventually I was glad of the change, and it is as much a change as anything well could be. Before, my work was for the most part miles away in every direction. Now, it is all on the spot, and is all done on shank's pony. Normally we can accommodate about three hundred wounded and sick here. They are brought in from the Field Ambulances by a Motor Ambulance Convoy, and as soon as they are fit to travel are sent down by hospital train to the Base Hospital, whence those who have got what they call a "Blighty one", are put on a hospital ship and sent across to England. The whole thing is very wonderfully organised, and the men get splendidly looked after. When once a man can be got out of the trenches or off the field of battle where he received his wound, he does not lack for care and attention. Should the necessity arise, in the event of a big drive forwards for instance we could expand almost indefinitely and accommodate over a thousand cases. The work of a Chaplain to a Casualty Clearing station naturally lacks the excitements connected with the work of a Chaplain with Artillery, but it is nevertheless full of interest and there is so much he can do. I have had less time to myself here than at any of my work previously, and I began to wonder whether I should be able to find time to write to you at all this month. You, who at home are praying for the wounded are doing a great work. If you could only see the perfectly amazing way in which these brave fellows endure their pain without murmuring, you would know that they possessed something more than ordinary human strength to enable them to do it. On Sundays I hold services for the personnel of the clearing stations. We have an early Celebration of Holy Communion in a small hut which I use as a Chapel on Sundays and a work room on weekdays. The other services are held in the canteen. I also hold services in the Town Hall for troops quartered in the town who have no chaplain. There are many things I should like to write about but the Censor forbids it. Everyone at home must be anxiously waiting for the beginning of the Spring offensive which we all hope is to be the beginning of the final phase of the war. Perhaps that beginning has already shown itself in the tremendous advance both by our army and the French on the Somme, not to mention the tremendous events which have taken place in the East. But I make no pretence of being a war prophet, and instead of making idle speculations should be doing better in advising you to plant all the potatoes you can find room for, if you haven't already done so. We have been repeatedly told that England must look to the farmers to win the War for us now, and it is the business of everyone possessing a garden to become a little farmer and to cultivate it solely with a view to defeating Germany. I hope the parish is swarming with "Voluntary Rationers" of whom I read with much interest in the March Magazine, and that representatives from every household have joined the Hethersett League. I had another service later in the day at which every available seat was occupied and I scarcely had room to turn round. One longs to see the same keenness at home..... I have just made the acquaintance with Bertie Vernon Buckingham who came over with the Canadians and is wounded. He claims many relatives in Hethersett. At the time of writing this the Push on our front is just beginning, and we are expecting to be kept busy for some days. Doubtless there will be more to tell you when I write next. In his next entry in June 1917 he again returns to the thorny question of censorship, suggesting that what people were reading was a sanitised version of the real war, excluding details of some of the horrors, illnesses and injuries. When I wrote to you last there was much I should have liked to tell you but which would have failed to pass the censor. To tell it now would make very uninteresting reading as the news would be stale. I wrote the May Magazine very early in April, in fact during the first week when the finishing touches were just being put on the stupendous preparations which were being made for the British Offensive. I choose that week because I felt sure that I should have little chance of writing during the following weeks, and such proved to be the case. Easter Sunday was a glorious Spring day; it seemed to promise success. It was spent as most other days are spent out here, except that at the Services large numbers came to receive the Blessed Sacrament, and to pray for strength for the strain which we anticipated. There was many a man out here on Easter Sunday earnestly desiring to make his Communion but unable to do so because, with so many troops on the move, Services were difficult to arrange. In some cases these difficulties were overcome. A Canadian Chaplain told us how a great many of his men received the Sacrament with their rifles in their hands and many of them just as they passed by him on their way into the trenches. There was an evident feeling of restlessness everywhere, an atmosphere of suspense which made the day drag slowly by. I took the advice of my superior officer and went early to bed so as to get a night's rest while there was still a chance. In the early hours of the next morning our magnificent offensive began, and although Spring seemed to have been driven out again by winter, the wounded all brought with them an atmosphere of victory. Some with their bodies broken and torn, some thickly coated with yellow mud, some cold and wet to the skin, hungry and thirsty, weary beyond words, and enduring in many cases unspeakable suffering, they were all cheerful, there was no grumbling, no murmuring, no complaint; they had gained their objective, they had taken so many prisoners, their company had done this, that, and the other - nothing else mattered, they had come out victorious and they were content and proud to suffer. That is the spirit of our men out here. When they are "in rest" they are full of fun and happiness - tenderness too. I saw two soldiers pick a little crying French child out of the gutter a few days ago and brush the mud from its knees and try their utmost to soothe it in the kindest and homeliest of English phrases, not a word of which was understood. That is what these men are like in their heart of hearts. They don't want to fight or to hurt anybody but if they must fight, then they put every ounce of vigour and determination into it they possess. When they fight they are out to win and are content with nothing short of victory. And they suffer just as they fight, like men. Quite and elderly man whom we all called "Uncle" and who had lost one of his legs was all eagerness to get to "Blighty" and to get fitted quickly with a cork leg so that he could get back and do some more work. He was sure they could find him a job in the trenches. Another man who had had one of his arms amputated said: "Well I've still got two legs and one arm left and I guess I can do quite a lot with them." I could tell you many quaintly cheerful remarks that they have made, but I think one of the best was from a man who had one of his legs amputated, and who, on being told what had happened at once said "Oh I hope I didn't make a fuss." Their spirit is truly magnificent and I'm afraid I often say to myself: "If only our people at home could see this patience and endurance and willingness to bear hard things bravely and catch some of the spirit of these men!" And yet I know you are manifesting the same spirit though perhaps in a different way, for perhaps the hardest strain of all is the strain of uncertainty, and many a home in Hethersett is tortured today by that strain yet enduring it with a calm fortitude and resolution, waiting prayerfully and hopefully for news. I have heard recently with great sorrow of some additions to our Parish "Roll of Honour", but as I do not at present know particulars I cannot write on the matter. My deepest sympathy is with those who are bereaved. I have met one or two Norwich men here lately and we have talked much together of home. A few days ago a voice from one of the beds said , "Are you Mr Jarvis?" and I turned and found a Norfolk man who, when I saw him last, some six or more years ago, was quite a small boy. Every day seems a busy one, but I feel glad to be helping here. There is, of course, a sad and distressing side to it all, but one is saved from depression by the splendid work of the doctors and by the cheerfulness of the sufferers themselves. We are right to be proud of them. Such men can never be beaten. Let the people at home continue to back them up in every possible way and victory and peace are guaranteed. The magazine reports on the death of Robert Bartram and injuries to a number of other Hethersett soldiers and the Rector starts his July 1917 contribution by referring to this. The list of casualties published in last month's magazine tells in a few words how Hethersett is playing her part and bearing her share of the burden in this great tragedy of War. Two more names must now be added to that list. William Bishop is a prisoner and William Thurston if reported "missing." Robert Bartram's name is added to the Roll of Honour, and we pray that by the sacrifice of his life he has been brought into closer union with Him Who gave His Life that all might live. Our sympathy with those that are bereaved and desolate and with those who are anxious and troubled has already been expressed. For them, as well as for their dear ones, we pray that they my be brought through the contact with the mystery of suffering into union with Christ, where only it is solved. The anxious waiting for news, the torturing anxiety of what that news will be, ranks high amongst the bitter sufferings of the war. The patient courage with which the bad tidings are received is one of those great things that make England as proud of parents and wives as she is of her sons. It falls to my lot to write letters every day to the relatives of those who are wounded or dying at this clearing station, and judging by the replies which I receive I have gradually become convinced that physical suffering, terrible as it is, is not so hard to bear as the mental anguish of those who have to face the fact that some vacant chair will in future days remain always vacant, that some love one who went boldly away to make whatever sacrifice was required of him has made the supreme sacrifice and will not return. There is a heart-breaking sadness in some of these letters but with it there has always been mingled a stirring courage, a willingness to bear hard things, and a splendid pride unconquered by sorrow. I could quote many instances. One of the latest will suffice. These are the words of a soldier, himself disabled in this war:- "As his brother, I would rather he had died a hero's death than be here to live a coward's life. I feel proud that he answered the call of his country." The same spirit is to be found amongst the wounded themselves. It is perhaps natural that those in the war area have taken the cause more closely to heart than those who are situated at a distance from it. But though every one of them hates war in his hearts, he displays a loyalty to the cause that almost takes one's breath away, and I would never believe that the dead would have their lives back again if they would nor that the disabled and sufferers would not prefer to have suffered than to have remained at home and never to have played their part. A Colonel, wounded in the head, said to me a few nights ago :- "If I go home blind and deaf and with a crooked face, I shall always be glad that I came and did my share. Loyalty to a good cause is perhaps the most splendid and is at the same time almost an essential characteristic of true manhood. Whilst on the subject of money, may I ask that those who have so kindly subscribed in the past to the Choir Fund and the Sunday School Fund, will renew their subscriptions, which may be paid to Mrs Jarvis. I have received no news of the choir lately, so I conclude that all is going well. The report that has reached my ears concerning the Sunday School is both favourable and encouraging and I am very grateful to all who are helping there. By the time this is in your hands I shall have been absent for half of the time for which I signed on. Before many more months are passed I hope I shall succeed in getting leave, though I am sure that if I do come home I shall be forgiven if I take a complete holiday and show myself very little in the parish. With my constant prayers for your welfare. I understand that Sunday, August 5th, is to be observed throughout our Churches in England and Wales as a day of special Prayer and Thanksgiving for the War. In the church porch there is a list, a long list now, of the Hethersett men who are serving in the Army and Navy, At the head of that list, if I remember rightly are the words; "Brethren Pray for Us". I am going to ask you on behalf of all those men whose names are written underneath those words, and, I am sure with their entire approval, if you will put that request into practice. I firmly believe that if at any of the Services I take out here I were to ask any of the men present the question: "Whom shall we pray for?" the answer would come back without hesitation: "Let's pray for those dear ones from whom we are separated; let's pray for our wives, and mothers, and children. There is always striking attention paid all through any prayers referring to the War, but when the words: "Let us pray for our loved ones at home" are reached, the stillness is remarkable. Your boys are praying for you, and they ask for your prayers. You will pray, too, for these vast armies of ours, not only here in France but scattered over the world; that their efforts may be crowned with such victories as will lead to a righteous and lasting peace. For the men of the Fleet, who with their stern task which ends neither day nor night, winter or summer, storm nor fine, have with their traditional bravery which knows no turning back or resting till its work is done, not only defended our shores against the enemy but also alone made it possible to carry on war abroad, and keep us all fed, clothed and munitioned. ...... As soon as you begin to think you discover a thousand reasons for a thankful heart; and this is the case even in regard to war. God's continued help, especially for his marvellous protection in the first year of the War; the watchful guardianship of the Navy; the splendid generosity shown by our men; the devoted work of men and women at home; the entry of America into the War the re-entry of Russia; the measure of success which has been granted to our arms, especially the recent progress made on almost every front; the prospect of a better England, a better Europe and a better World; these are but a few subjects which at once suggest themselves as causes for deep thankfulness. Since I last wrote to you there has been another great push and another splendid victory. The noise of the most terrific bombardment the world has ever known, was I am told, heard by even some of you, and the distant thud and rumble of what we call the "Heavies" must have warned you that something great was about to happen and no doubt the Huns thought the same, and thought right. ....It was with great satisfaction that I heard of the excellent financial result of the special S.P.G Intercession Service last month. I do not know the exact amount of the collections, but I understand they exceeded £20. I hope the Flag Day was also a great success. I have only just returned from my "Leave" and I find that I must waste no time before writing to you or the October number of the Magazine will be late. My time at home went very quickly and I'm afraid I saw very few of you. But I need hardly say what a tremendous happiness it was to me to receive such a warm welcome in the few houses I did visit, and what a pleasure it was to see you. I wish indeed I would have been able to see more of you, but had I once allowed myself to begin systematically my whole holiday would have been occupied in visiting, and I should have wanted a considerable "extension" to enable me to get round. It seems, therefore, best not to attempt it, but to content myself with the hope of seeing you all soon after Christmas. So I have said farewell for a little over three months, at the end of which I hope, if I am spared, to take up again the work amongst you, concerning which many of you have spoken so encouragingly. I realise completely, and deeply appreciate the fact, that many of you have been doing your utmost to keep everything going satisfactorily during my absence. Things may not have always been exactly as you would have wished, but you have accepted all such with a good will because it is part of the sacrifice you are prepared to make during the War. We have come to expect changes in these days. All the conditions of everyday life are altering and we have adapted ourselves to meet those conditions...... Everything in our lives has by this time, or at any rate should have been, organised for war. The Church is endeavouring to bring itself into line. It isn't a question of whether war is right or wrong, there is no time to discuss that when you are in the middle of the biggest war the world has ever known. That is the one fact that has to be faced. We are at war. We must therefore organise everything accordingly until victory is achieved. This letter goes on to explain the role of the church in the conflict and why it is "acted slowly" through being "tied and bound in innumerable ways." He feels that the Church must change some of its attitudes and broaden its outlook. The Church needs to stop clinging to its old forms and methods. It is clear to everyone out here that the vast majority of our men fail to connect many of the noblest and best Christian virtues, which they really admire and desire to emulate, with the Christianity of the Gospel, and consequently the Church has failed to attract them or has lost its hold on them. We (the Church) has stood still while the nation has gone ahead. Now we must catch up, and more, we must lead. That is one of the main functions of the church, to lead the nation, not only in times of peace but in the days of war too. In his November letter Rev Jarvis was back on the Front line and he was back informing us that due to censorship he was not allowed to be totally open in his letters. In other words Hethersett was receiving a slightly distorted, if invaluable, version of what was really happening on the Western Front and in the war in general. Every time I sit down to write to you there immediately crowd into my mind the many things that are happening over here that I should like to tell you about and describe, but which unfortunately may not be discussed in a letter. I therefore have to search my memory for something which will not offend the critical eye of the Censor, and, which may possibly at the same time be of some interest to you. A Confirmation Service which I attended a few weeks ago may serve this double purpose. I have attended several Confirmations out here, and they all stand out very clearly in my mind as unique and wonderful experiences, but not one has been quite as impressive as the one I am about to describe. We were a few minutes late, and we found the church already full and obtained seats with difficulty. There was room for between forty and fifty men, and after our arrival every seat was occupied. The service was of course, precisely the same as many you have attended at home and yet it was so different on account of the circumstances and environment that it could not fail to leave an indelible impression on the minds of all who were privileged to be present. While the Bishop addressed the candidates we were shaken in our seats by the concussion of our own guns in the neighbourhood. Before we left, one or two shells fell close by. Such things as these only added to the solemnity of the occasion. In that war stricken wilderness which strikes one as being the halfway line between this world and the next and which makes a man feel that he is indeed in the presence of God, about forty men renewed the solemn promise and vow that was made in their name when they were baptised, ratifying and confirming the same in their own persons and acknowledging themselves bound to believe and to do all those things which their godfathers and godmothers then undertook for them. Thousands of men have been confirmed in similar places and in similar circumstances. It will surely never be forgotten by any of them. Not only out here but all through life that scene in that little church, or some word spoken at the time by the Bishop, will come back reminding them of that day when they promised to serve Christ as His faithful soldiers unto their lives' end. There is a wonderful freedom and a spontaneity about many of our Services here. The man not infrequently choose their favourite hymns before the Service starts and sing them as if they loved them and meant what they were singing. When there are only a few present I sometimes omit the sermon and after closing the Service take off my surplice and sit amongst them and talk. They ask questions and by so doing reveal any difficulties that may exist in their minds. A friendly discussion quickly removes many misunderstandings. Men come singly to my hut during the week obstentatiously perhaps to have a letter censored but really to unburden themselves of some trouble or difficulty or temptation. I may not be able to help except in so far as talking with a friend on such matters, and prayer always help; but it is one of the things I am here for, and it is always a happiness and a privilege to be their friend in this way. I have more than once expressed a wish that more of you at home would regard me as such a friend....... how many of us meet together and worship together on Sundays and exhibit no sign whatever of Christian fellowship during the week....As I have said before, a little friendly discussion removes many misunderstandings. A few minutes of conversation not infrequently clears them away altogether. Don't let us hug our misunderstandings and grievances but learn on what ground we can stand together and then all else becomes relatively insignificant....... I have said all this because it is my firm belief that we shall gain greatly in strength if, as some have done in the past, many more will bring their difficulties and grievances and discuss them frankly with me, if I am permitted to come and work amongst you again. Remember I am there to help you if you will allow me to do so, in your religious life. The men out here know exactly for what purpose we are with them. The purpose remains the same when we are at home.. The parish magazine of December 1917 began with a letter from King George to "my people." The above proclamation needs really neither explanation or comment. As we look back today, we remember the many times when it seemed to us with our imperfect vision that the end was in sight, that victory was within our grasp, that a lasting peace was almost secured. Humanly speaking this has been no mere delusion, but we have been disappointed of our hopes. Wondering hearts are not simply asking now; "How long? The question that is beginning to frame itself on their lips is "Why." We have heard of the arrogant claims to the guidance of God made by our foes. Such transparent hypocrisy has possibly accounted in a measure, for our own tardiness in this respect..... We have heard a good deal of drivel about "England on her knees" but England has never been on her knees yet. We have been warned repeatedly to overlook nothing in devoting ourselves to the prosecution of the war until the only possible ending is reached, and those in highest authority now tell us not to overlook the importance of united prayer. The King, acting no doubt on the advice of his Ministers of State, bids us to pray. I shall count it a great privilege if I am permitted to be with you on the day specially appointed, for it is my hope that before the next number of the magazine is in your hands, I shall be back at the Rectory. I need hardly say that I look forward to my return with a feeling that is deeper than mere pleasure. For me it has been a year of undreamed of experience and opportunities, but it is not a year that I should care to live over again. For many reasons I shall, with sincere regret, give up my work here, for no such chance of getting into really close touch with the men of our nation can ever present itself in the same way at home; and whilst they are out here bearing their great burdens for us, one naturally feels glad and proud to be amongst them and be of some small service to them. But this does not in any way detract from the happiness of returning to work amongst you again, and the thought that we are to begin our New Year together in united prayer for clearsightedness, strength, courage and enlightenment, and in praise for Divine guidance in the past, will, I am sure, be welcomed by all. The Rector's hoped for return home didn't quite materialise in time for the following edition as the January 1918 edition found him still writing from the front (although of course the letter was sent before the end of the year). This is to be, I hope, the last time that I shall write to you from France, My first word in this letter must be to wish you many blessings and much happiness in the New Year, which I look forward to sharing with you. Perhaps you may feel that there is not much happiness for any of us just now. But there is happiness even though the world is overflowing with sorrow, just as there is peace although the world is bleeding with war. It is that deeper happiness and deeper peace that we must seek. The past year has seen many victories for us and our Allies for which we heartily rejoice. It has had its disappointments too, and there has been sorrow, anxiety and hardships for almost all. In the coming year we trust to see even greater and decisive victories, but we know that the sadness and the trials are not yet over and we must brace ourselves to face them with fortitude and determination. We are all aware that the real problem before us is the problem of endurance. Of the capacity for endurance on the part of our sailors and soldiers, there has never been the slightest doubt. For three and a half years it has been put to a tremendously severe test, which has simply had the effect of stiffening them. Their patience and their valour are beyond all praise. They have won our truest admiration and affection. But the test of your endurance is only just beginning. In one sense it is perhaps more trying, if you have to take your hardships as they come, without the soldiers' satisfaction of dealing with his enemies. But the civilians at home are playing a definite part in the war as well, and may share with the army the victories won in the field. Without your co-operation our army can alone never win. With it, they can - we know that. But do we know that every time we fail to help we hinder? It is a little difficult to grasp this because the amount of help we can give individually seems so small and the amount we can hinder almost negligible. But it is the co-operation of all individuals that tells, and the co-operation of every individual is of great importance. Without great effort on the part of all the sum total falls short of sufficient. Your greatest opportunity of giving real assistance to the nation and definite support to those who are fighting our battles is by conforming completely and entirely to the Food Controller's rations and by investing every penny you can spare in War Bonds, and also by unmurmuring endurance of hardship and patient bravery in face of anxiety and sorrow. Your readiness and willingness to endure and persevere has never been doubted either. The nation has trusted you. During the coming year we must remain worthy of that trust. It is with very real regret that we have learnt that Lieut S.L. Back, Dragoon Guards is wounded. Our sympathy goes out not only to him but to all who are in anxiety for him. Let us pray that he may have a speedy recovery and a safe return. In the February 1918 edition the Rector is writing again from the relative peace of his study at the Rectory. There us much more of a news content in the magazine - obviously Rev Jarvis has galvanised local residents into sending him news for the publication. It is a far greater pleasure to me than I can tell you to be writing to you from my own study instead of from a cold and draughty hut in France. It is equally a joy to be amongst you and to be able to visit you in your homes. There are many yet I have not been able to visit, but all I have met have been so exceedingly kind and I do indeed thank you for your warm welcome. I want to thank so many of you too for the splendid work you have been doing for me all the time I have been away. Hethersett Church may well be proud of her voluntary workers. I should like to put down a list here of the names of these workers, but space does not permit, and I must just thank you en bloc. From this point the Rector seems to direct his energies into village life and matters and personal letters become rarer, although it is obvious that he is leading the way as afar as the insertion of information goes. You can get a flavour of the content of the parish magazine and its content at this time by visiting our Parish Magazine section. There has been a good deal of talk during the last three years about the War producing a regenerate England. So far it has failed to produce this, at any rate in the sense in which it was looked for, but rather the reverse. Someone was heard to suggest a few days ago that we had become too hardened to be moved by the events of these times. It is a terrible confession to make but is it true? At least we must admit that in spite of many outward changes with regards to habits of luxury and leisure amongst all classes, England remains in heart, much the same as she was in 1914. In other words we claim to be taking part in an immense spiritual conflict, a struggle between right and wrong, and we expect God to be on our side - but all the time we leave God out of our calculations and plans........ England's crying need today is not for guns or munitions or food but for individuals who are ready to stand for and fight for true ideals of manhood and true ideals of womanhood, which are at present being thrown to the winds. It isn't that we do not possess high principles. We do, but we hide them under a bushel, and the golden opportunity of putting them into practice afforded by this War has so far (speaking generally) been missed. ....The seriousness of the War is pressing more and more upon us.... If we claim to be fighting for Christian principles (and God pardon us if we are not) let us take up our task as Christ's followers. It is partly because going to church involves a little trouble...... But in any case can we possibly allow it to be too much trouble to go and do this small service for our dear ones, when, perhaps they are standing up to their waists in mud and water and are being exposed to the most terrifying perils and danger for us. At the time of writing the greatest and fiercest battle ever known in the history of the world is being fought in France. We do not sufficiently realise that upon the result of this battle may depend the entire future of Britain. All that is nearest and dearest to us in life, all that we hold to be most right, hangs in the balance..... This is specially an appeal to those who have husbands, sons and brothers serving in the Army and Navy. But it is an appeal to all for they are enduring these hardships for all of us. How much are we prepared to do for them? The Rector then restricts himself to village rather than personal matters until he takes up the pen again in the July 1918 edition as the war enters its final phase. The fourth anniversary of the outbreak of war is drawing near, and it is well that we should give it a little consideration before it is actually upon us. For almost four years we have been engaged in this hideous strife, and the fourth year has been the most trying, the most searching and the most grave of all. On August 4th we begin a fifth year, and there springs up in the mind the thought that has so often found its way there before: "Lord how long?" Yet we look into the future with no flagging spirits. A fifth year will not find us wavering or weak, but rather, more firmly resolved to carry through to the end the task of securing freedom and justice and humanity for the world. We are not doubtful as to the ultimate issue of this titanic struggle. It is in God's hands, and His cause must triumph. August 4th falls on a Sunday this year and this fortunate co-incidence may give an added seriousness to what must in any case be an occasion of great solemnity...... Many are looking rather wistfully to the Churches today. They see a world that is bankrupt and chaotic around them and they seek for something that has not lost all permanency and Stability, and that possesses imperishable riches. Men openly say that they see no hope for the future of the world except in religion, although organised religion still fails to meet the needs in their hearts. He goes on to discuss unity, power, bitterness and controversy. The edition then informs parishioners of an illness being suffered by the Rector, although the nature of the sickness isn't disclosed, leading to speculation that it could have been a stress related illness through serving on the front. In obedience to doctor's orders, I am going away as soon as I am well enough to travel. I greatly regret that I have been obliged to cancel a number of engagements for July, but this I know will be forgiven. There will be services in Church each Sunday throughout the month at 11 a.m and 6.30 p.m. There will also be celebrations of Holy Communion at 8.30 a.m on July 7th and 21st. The turn for Hethersett to send vegetables and food to the wounded at Swainsthorpe occurs again on July 23rd. Your gifts can be taken to the Old School during the day. I am sure you will not forget this. May I take this opportunity of thanking all who have been so exceedingly kind and helpful during my illness. I hope in a few weeks to return to the parish perfectly well again. The theme of absence is followed up by the rector's letter in the August 1918 edition. He may have been ill but he continued with his writing. The magazine is written to you this month whilst I am taking an enforced holiday. If it is short it will be because I am under orders to do no work whatsoever, But by the time this is in your hands, I hope and expect to be quite well and back in the parish again. He then goes on to remind parishioners at length about the Service of National Intercession to be held on Sunday August 4th in "Mrs Neave's meadow." I think we may not unreasonably look for a large gathering if we have a fine night... A limited number of seats will be provided, and it would greatly help if persons living close at hand could bring their own chairs.. The remainder of the letter deals with more parochial matters, details of which can be found in our parish magazine section. In the magazine of September 1918, the Rector looks back on the importance of a special service in Hethersett as he discussed the anniversary of the War. The united Service, held in the School Playground on August 4th, will remain in our minds always as an event of great importance and of even greater promise. We do not want to speak of it as a success, for we did not set out to achieve success in the ordinary sense of the term. Our object was to pray, not simply as a number of individuals, nor as a conglomeration of the various sections of the community, but with one heart and voice to offer our prayers to God, and at the same time to prove that in times of crisis we can all of us stand shoulder to shoulder to witness together to our belief in God's power and mercy and love. That hundreds of people (I will not venture to estimate the number of people present) should have come together for this purpose is clearly demonstrative of the fact that there is a real desire to pray and that the desire for the re-union of the churches is not simply talk but is sincere. Everywhere there was a spirit of humility and penitence, a desire for victory that we might use worthily, a heartfelt longing for a righteous peace. Within a week there followed a signal and, to most of us, an unexpected triumph of our arms. Let is continue to pray, let the nation continue to make itself worthy of God's grace and we may trust to see such an enlargement of our victory that without any hesitation we shall be able to describe it as an answer to prayer. He then uses the magazine for a lengthy treatise on the Life and Liberty Movement, railing against the evils of a social system based on self-interest, profit-making and competition and obstruction to the church by Parliament and a long list of other ills. At present however unsuitable a parson may be for the particular parish in which he is instituted; however much he may change the services and ornaments to the dislike of the parishioners without breaking the law of the Church; however much he may have lost heart, or however old he may have grown, neither the parishioners, nor the Bishop, nor the Diocese, nor all three together can remove him. The Life and Liberty Movement proposes to make it possible to remove him and to give the parishioners a right to make representations to the Bishop on some of these matters.. It has all happened so suddenly. Only a few months ago our armies in France were faced with perils which blurred the future with grave uncertainties. The strength of our enemy was at its height, and our men, unbroken, were staggering before the weight of its blows. And then, at the moment when all was darkest, the turn of the tide began, and ever since our men have marched straight forward to victory. Doesn't it all point to that one lesson which we are all meant to learn from the War? That there is something besides material strength which counts in this world, that there is a power greater than material power. Never dreamed, though right were worsted, wrong would triumph!" And, however far we may have fallen short ourselves of those ideals for which we have fought so tenaciously during these heart-rending years, our cause was right and has therefore triumphed. All the best that was in us was required to take up the sword in defence of that cause, and to that to which we have dedicated ourselves so unreservedly in war we must give ourselves no less whole-heartedly in peace. Right for its own sake must be our great aim, and to win that we shall need to put as much energy and self-surrender into the brighter years ahead as we have put into the black years that are gone. It is the life that counts. The nation's soul is to be found in the souls of its members. The nation's life will be what the lives of its members are, and if that life is to be better, cleaner, worthier, then our lives must be better, cleaner and worthier. If there is one resolution to be found in all our hearts today, it is that this terrible tragedy of war must never happen again. Words won't prevent it from happening again, treaties won't prevent it happening again, but lives in which true goodness is uppermost may. Goodness is a quality which has been rather despised in the past, yet it is the most needed quality today. Never has the world stood in greater need of good men and women. It is simple, sincere, God-fearing lives that are wanted. In every age there has ever been but one motive of this genuine Christian life. It has lain always in the thought: "He died for me, and I must live for Him." But during these last four years we have had before our eyes a new presentation of Calvary - the world has been the stage and the flower of all the nations on the Cross. The battle for freedom and righteousness was begun by those we love have given their lives for it. We have it in our minds to set up some worthy memorial to them, But the greatest, the worthiest memorial of all will be to carry on its completion the work they have begun. With all that the war has done to darken homes and shatter hopes it has also given us a vision which we might never otherwise have seen in our generation - a vision of the world as God sees it. By the splendid devotion and unquenchable spirit of those who fought, we have been enabled to live and to see this, and a tremendous obligation rests upon us to secure for ever those principles for which their lives have been given. It is for us who have been spared so to live and to work for those ideals as they died to give us liberty to do so. The Christmas Festival has this year been a happier one for most of us. The great change that has taken place since last Christmas is enough to give happiness to all. It has been good to see so many of our men home on leave. We only wish they could stay with us, and we look forward eagerly to seeing them all home for good. But we rejoice in the knowledge that they are not returning to danger. Last month we were able to announce the safe return of four of our Prisoners of War. This month we are thankful to be able to state that all are home. T. Yull and A. Thurston, who were taken prisoners at the Battle of Mons, E. Foster and J. Kerrison who were prisoners for a shorter period, have all been home. G. Sergeant is reported to have reached Scotland and we hope soon to have him in Hethersett. A number of parishioners have been proud to have had the opportunity of giving a welcome home to those men who have suffered so much. We are glad to know that they are also to be given an entertainment on a larger scale in Norwich. Our men from the army and navy are beginning to return in small numbers and we would have every one of them know how truly thankful we are to see them coming back to civilian life after all the hardships and perils through which they have passed. There will scarcely be one who will not return with a feeling of deep thankfulness in his heart that his life has been spared and that he has been enabled to come back to his home and to all that he holds dearest in life. There may be some who would like to express that gratitude by having a very short special service in church for them and their families. Others may desire to return thanks publicly on a Sunday, thereby giving all of us, who have been praying for them during their absence, the opportunity of joining in their thanksgiving that these prayers have been answered. ...None of us want these men who have done so much for us to feel that they are returning unnoticed. We have a feeling of gratitude towards them which we may ill-express, but let us all endeavour to extend to them the right hand of Christian fellowship. In August 1919 the Rector discusses the concept of Peace. After a lengthy passage quoting from the Bible he has the following to say. Part of our rejoicings were held on Saturday, July 19th, when sports and tea were provided for the children. The Women's Institute and the Sports' Committee are to be congratulated on the admirable way in which their arrangements were carried through. But there is yet more to come. The original date fixed for Peace Celebrations was the beginning of August, and as far as possible we shall keep to the original date. ..... Sunday, August 3rd, therefore will be a day of special Thanksgiving.... and in connection with our Thanksgiving we shall endeavour to show our appreciation and gratitude to those soldiers and sailors who fought for us. We shall remember those who gave their lives; we shall remember also those who have returned safely to us. The greatness of our debt cannot be exaggerated. There can be no one who has not a burning desire to express it. .....Today we long for an unbroken peace to be established throughout the whole world, we long and pray that the dawn of "the promised time when war shall be no more," may at last have come. It is fitting that we should commemorate the signing of the Armistice on Nov 11th, 1918, by bringing to our minds again the terrible cost, the appalling ravages of war. We scarcely need to be reminded of these fifteen men who went out from our midst to make the highest sacrifice of all, nor of the many others who took the same risks but were spared to return; but it may sometimes be well to remind ourselves that there was a great purpose in their sufferings, in their bravery, and in their deaths. The great purpose underlying the great war was the well being of mankind. But for this, practically nothing would have made it worth while. Nov 11th this year is the first anniversary of our Great Deliverance, a deliverance which gave to us an opportunity of making the peace of the world secure for all time. The world's peace may still seem to be far off, but its establishment must depend upon the spirit and determination of men of good-will. That is the great task left to us by those who fought and died for this priceless possession. Let us keep that task clearly before us and strive to the utmost of our power to make peace a reality. And at the anniversary let us remember not only the terrible cost of the war to ourselves, but the far greater suffering it has inflicted on those who were vanquished. Millions of people in Central and Eastern Europe are at this time suffering almost indescribable misery from want of food, want of clothing, and want of medical treatment. With winter coming on, these conditions will become infinitely worse, conditions which, in the words of Mr Hoover, constitute "the greatest danger mankind has ver run." Hundreds of thousands are only half-clothed, are living in homes that are entirely unheated, and many are literally dying of starvation and disease. Is there nothing we can do to help them? There is no-one who cannot spare something for these people who are so utterly destitute. It is proposed that we should try to help the children, very few of whom may survive this winter unless help is forthcoming. Can we celebrate the anniversary of our victory better than by helping these poor children of the vanquished, all of them innocent sufferers? Money will help and for every £1 we send, the Government will add another £1 to it. Clothes will help. Let us then send every article of clothing, whether for children or adults, we can possibly spare. The Girl Guides have undertaken to collect articles of clothing throughout the parish and will call for parcels in the Armistice week, Nov 9th-15th. Any large parcels will be called for by the Scouts. The Brownies are collecting acorns which it is hoped the farmers will purchase at high prices. Will all please help our children to save those suffering children in Central Europe. Suggestions have been made in the Press for the observance of Armistice Day, which doubtless will be carried out, and the Church has arranged that on the Sunday preceding the third anniversary of that day, there shall be services of Thanksgiving and Memorial for those who were killed in action or died of sounds or sickness during the Great War. Probably everyone would desire that some one day in the year should be set aside for this purpose. Whether this is the most fitting one is a matter of opinion, and some might prefer the anniversary of the dedication of our own War Memorial. But for this year, at any rate, special services will be held on Sunday November 6th...... I would particularly invite the relatives and friends of the men who gave their lives, to make a corporate communion at the early service, both this year and on future anniversaries. Also I specially invite all ex-service men to the evening service to pay honour to those who shared their trials and dangers, but did not return. Could they not form amongst themselves a small committee to supervise and carry out the arrangements. I should welcome any suggestions regarding this anniversary. Gradually, however, the war seemed to be consigned to history and life began to get back to normal with all the usual worries and concerns that raise their head in a village. 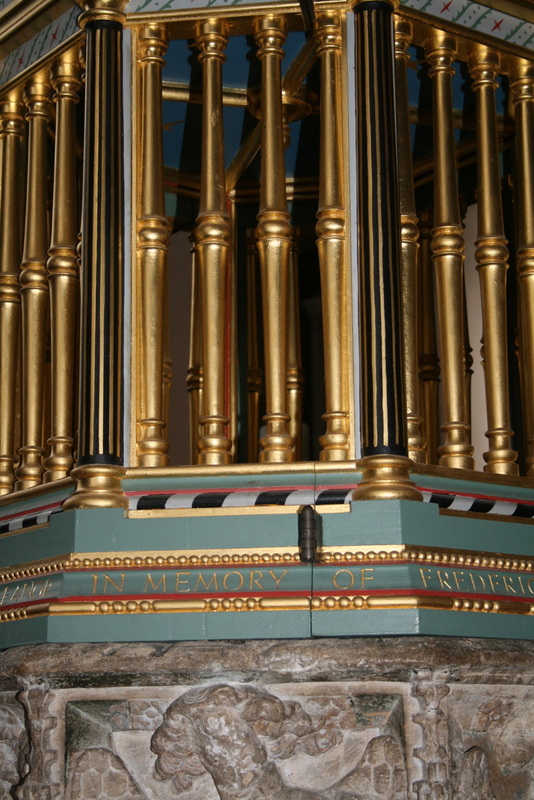 Frederic Jarvis continued as Rector of Hethersett until early 1932. The parish magazine of November 1931 announces his imminent departure. On Sunday, October 18th, I announced from the pulpit that I should shortly be leaving the parish. My decision to take this step was arrived at after much prayer and thought and with a pain in my heart that I cannot really speak of. The news seems to have been received with considerable surprise, a surprise occasioned no doubt by the fact that nobody remembers a Rector of Hethersett ever resigning, such a thing has not happened within living memory and probably for a much longer time than that. On the day on which I returned from my holiday in July I was asked if I would consider the acceptance of the living of Wymondham. This invitation came to me as a complete surprise and entirely unsought, and whereas my first thought was to decline I eventually decided to let the matter take its course, and if no obstacle to acceptance and institution occurred to believe that I was being guided to move, and as no obstacle has arisen I have concluded that it was meant to happen. It is perhaps natural that the prospect of going fills me with sorrow. Hethersett has been my home since I married, and for seventeen years I have lived happily here amongst people so many of whom I have come to regard as my children. I have been here long enough to see those who were children when I came marry and have families of their own. The parish Church is almost part of me, and it is with a profound thankfulness that I see how it has grown to be a really beautiful place of worship..... to leave my home, my friends, my Church is a thought that makes my heart ache. And yet I am ever to undertake any more important work it must be before I am too old. It is probably not right that a man should spend almost the whole of his ministry in one place, it may be good neither for the place nor the man, and I console myself with the thought that a change may be for the good of Hethersett and that the time has come when God's work will prosper and receive new life in other hands than mine. Whilst I am sorrowful at the thought of laying down my work here, I am also apprehensive of the work which lies before me, work which will be more exacting. Wymondham Abbey is the most magnificent Church in this part of the country and it will be a very great privilege to serve it. It seems so short a while ago that I wrote my first magazine letter to you, and it seems unbelievable that I am now writing my last. In between then and now there stretch the years that have passed so quickly - the troubled years of the war, the difficult years that followed, and these last years which have been years of new birth and therefore of pain. But running through them all has been the happiness of friendship, the joy of service, and the satisfaction of building. The real friendship which so many of you have shown to me, the unfailing welcome with which you have always received me in your homes, and the intimate personal relationship which with some of you has been so well established, have all been a source of great strength and comfort to me through these years and will be the hardest thing to break with when I leave you to go and begin again among strangers. The reality of this friendship has been brought home to me during these last few weeks by the many kind words that have been spoken about my going and the kind letters I have received and more than once I have almost been turned from my decision to go. The remainder of the letter continues in a similar vein with Rev Jarvis thanking people for their kindness and asking forgiveness for any shortcomings that he may have. Hethersett will often be in my thoughts and prayers as I trust I may often be in yours in the coming days and years. I am glad to find that there is still time to communicate with you all once more through the magazine. Mrs Jarvis and Marion and I have been deeply touched by the great kindness that was shown to us at the Village Hall last night. I am afraid I can find no words to express our feelings of appreciation of this demonstration of your friendship and goodwill. That all this should have happened in these difficult times makes doubly clear what good friends we have and, I hope, shall keep in Hethersett, which will always have a warm corner in our hearts. The same magazine had the first ever letter by the new Rector - The Rev J. McAnally. His writings on the Second World War are featured in the Rector's War Part Two which is available via the drop down menu at the top of the page. 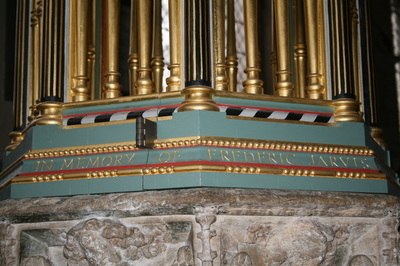 Frederic Jarvis served Wymondham and Wymondham Abbey for over 20 years. 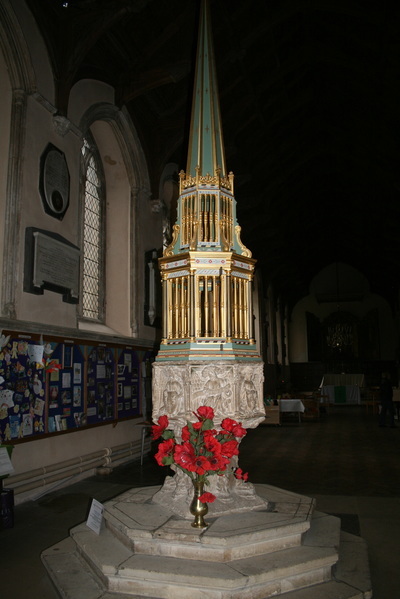 Today the font in Wymondham Abbey has a cover which was given in memory of Frederic Jarvis and his wife Dorothy Eleanor Jarvis. It is photographed below.